This function can be used to retrieve files and folders from damaged or corrupt NTFS partition directly without performing any scanning. 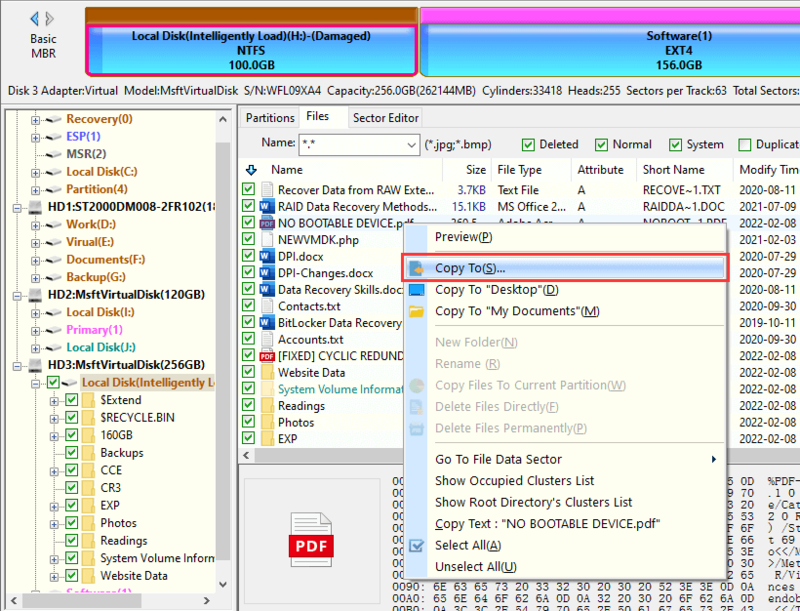 For instance, a partition turns to RAW or reports error message like "The file or directory is corrupted and unreadable", lost data will be displayed together with original directory structure after loading the NTFS partition. Note: if the partition is badly damaged, you may need to scan it using File Recovery function to get back lost data. 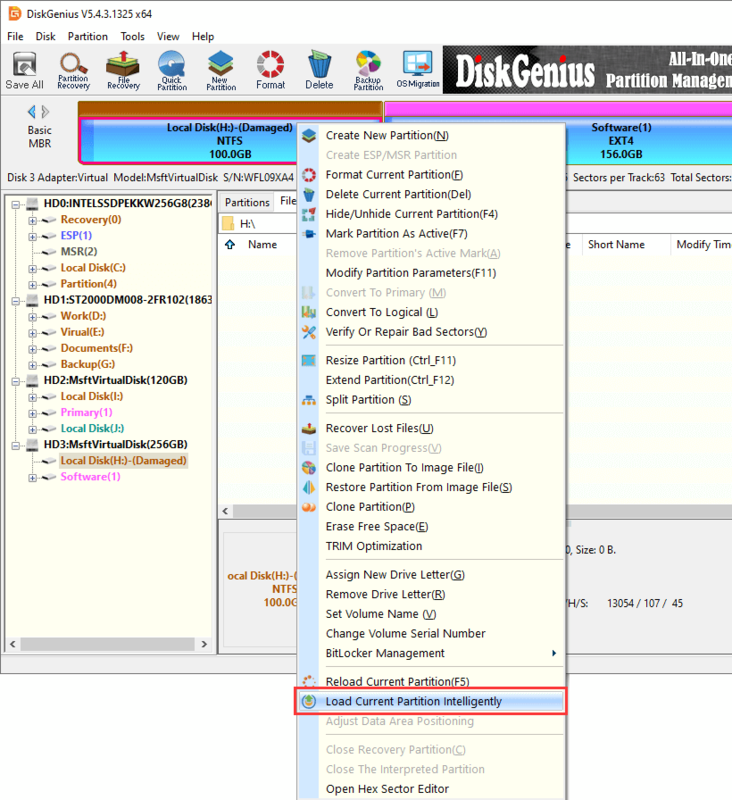 Step 1 Select the inaccessible NTFS partition, click Tools menu and select Load Current Partition Intelligently. Step 2 Preview data once files are displayed and copy desired data to a different location.